A Study Group consists of 10 to 16 members who meet weekly to enhance their knowledge of a specific theme. Each week, we have two 40 minute presentations; each one researched and given by a member of the study group. Members choose their own topic within the theme. The Study Group provides a wonderful opportunity to meet and enjoy the diverse FOM membership. We usually have the meetings in our homes, taking turns to host. On occasion, we also enjoy a pot luck lunch after the presentations. Do not fear if your first language is not English; we are patient and appreciate the viewpoints of our members from all over the world. We can also support you if you are new to making presentations and need some help with PowerPoint or Google slides. For more information, please read our FAQ sheet. Guidelines for Study Group Members (updated 2016) here. Contact the Coordinators for further queries. In this Study Group we plan to focus on crimes in Asia, both real and imaginary. Possible topics include organized crime gangs, the history of opium, trafficked women or major bribery scandals of the past 20 years. We also will learn about justice systems in Asia, both historic and current. Join us as we investigate crime, punishment and justice, in a fun and friendly way. A list of possible topics can be found here: Crimes & Courts. Please feel free to develop your own topic..
Rail, River, Road & Religious! 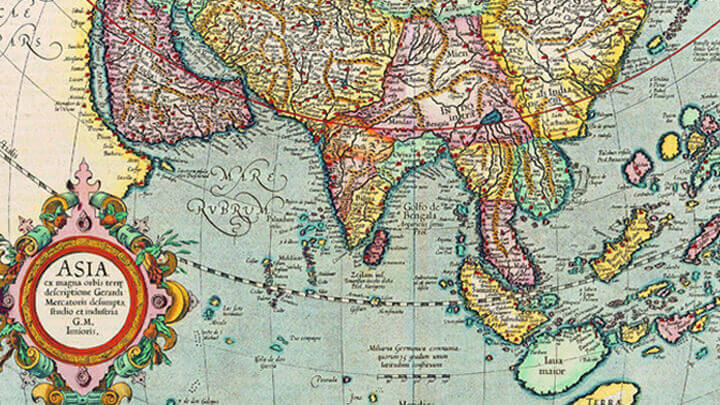 Join us for some armchair travelling as we explore Great Journeys of Asia. We plan to cover all types of journeys in this study group, including historical expeditions, river and ocean voyages, iron horse travel (railroads), religious pilgrimages, literary excursions and perhaps your own personal tale of exciting explorations. Starting January 9th, come join us as we learn about Great Journeys of Asia . A longer list of possible topics is available here: Great Jouneys Topics. Feel free to develop your own topic. This study group has started and was fully subscibed. Please join us in Jaunary when we will have a new theme. Current SG: Singapore turned 13 in 1978! A second generation of government ministers was coming to grips with nation building. Plans for a new airport at Changi were underway. Whether to build a Mass Rapid Transit (MRT) was a hotly debated topic. ASEAN was 10 years old and had 5 members. The Peoples’ Republic of China was becoming more active 2 years after Mao Zedong’s death. Japanese electronics were all the rage; although the revolutionary Sony Walkman was not yet available on Orchard Road. Starting September 19th, come join us as we learn about Asia and Singapore 40 years ago. Possible topics are available here : #1978 Topic List Feel free to develop your own topic. Our next Study Group will start in September 2019. We are currently deciding on our next theme. If you would like to suggest a theme, please contact the coordinators, Anna or Kim. A list of recent study group themes and the topics selected by members can be found below.